Developing a positioning statement for your product is as important (well..almost) as developing your product. Let’s look at a few positioning statements. To Female Heads of Household seeking a wholesome breakfast (Target Market), Quaker Oatmeal Squares is the only wholesome ready-to-eat cereal (The Product) that offers all the traditional benefits you associate with the Quaker Man (Point of Difference). To cost conscious young adults looking to buy furniture (Target Market), Ikea offers inexpensive, good quality, stylish, contemporary, ready-to-assemble furniture (The Product), sold in an engaging, fun and attractive setting (Point of Difference). The last positioning statement is a bit wordier (it is French after all) than we would recommend, but it captures the “bundle of value” of the brand. Don’t you want to eat the cookie right now and join the adventure? 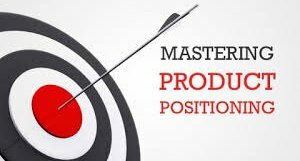 Think about your product and develop your positioning statement keeping the three pointers in mind. You have learned that industries can be segmented in many ways. The combination of these attributes creates a bundle of value that positions the product. An appeal to benefits and consequences such as going to McDonald’s and being confident that you will get the same thing every time. An appeal to the emotions and desires of people to belong to a certain group or set of ideas, which then becomes an identity. Have you ever been passionate about a sports team? Have you ever donned your favorite band’s t-shirt and felt like you were part of something bigger? If yes, then you’ve already started crafting your own identity. Ms. Kaputo offers several possible positioning strategies. I have picked five of these to focus on. You may want to read her excellent book and view the entire list and learn much more about marketing. “Own an Attribute – (such a) positioning appeals to the left side of the brain, the rational side that wants clear-cut distinctions about brand benefits and characteristics. For years, Verizon Wireless positioned the brand around having a superior cell signal with its “Test Man” and its breakthrough “Can You Hear Me Now?” advertising campaign. Having a better cell signal was a great attribute to own because it meant more reliable service. “Target a Specific Group – Look at the old “I’m a Mac and you’re a PC” campaign. Who do you identity with? The hip Mac guy or the conservative PC guy? The Mac guy appears on the right and is much younger and dressed in jeans. The PC guy wears nerdy glasses, ill-fitting khakis and a jacket and tie. The campaign appeals to people who aspire to hipness and it helped propel Apple’s share of the computer market, attracting large numbers of former PC owners to make the switch. “Be the First – Being the first in a category is powerful… Jeff Bezos created the first online retail bookstore. It is still number one and has expanded successfully beyond books. “Be the Leader – Bill Gates set out to be the leader in computing with this mission: ‘A computer on every desk and in every home, all running Microsoft software.’ It was a breakthrough branding statement for computing in 1975…when few people had a computer or could even imagine using one in their personal lives. Some of the other possibilities include positioning as a maverick (Apple originally, but not now), having a special ingredient (Stevia in Truvia), connecting with a celebrity (Nike and Michael Jordan) and being the low cost leader (Walmart or even Amazon). While some of these examples are not recent, they do explain the concepts well. Not surprisingly, the more hands or “touches” that are required in the distribution channel, the greater the costs of distribution become. A retailer, wholesaler or an agent, all add to the cost structure. There are two main reasons that Walmart is the low cost leader. The first is that its scale allows it to negotiate better prices from vendors. The second reason is that they have optimized their supply chain by examining all aspects of the distribution system and eliminating all unnecessary steps, i.e. “touches.” This allows them to carry lower inventory for shorter periods of time. Both sets of cost savings are then passed on to customers in the form of lower prices. Let’s look at the Cap’n Crunch example again. Quaker Oats sells a truckload of the cereal to Walmart, which takes delivery of the cereal in its own warehouses and quickly, often within 24 hours, distributes it along with other products to fill a truck, to their own stores. You then buy it from their store. Contrary to popular belief, most companies like dealing with Walmart because their efficient system is less aggravating. It also allows both Walmart and the producing company to make more money and the customer to benefit from lower prices. Complexity has a cost. This is why selling directly through the web is simple, efficient and cost effective. All you need is an excellent website and an account with FedEx, UPS and USPS to do a good job. • Domino’s Pizza has two channels – delivery and pick up from the store. • Apple has three channels– their website, the Apple stores and other retailers such as Amazon and Best Buy. • The Apple stores have been a rousing success. Not only do they allow the company to sell the product, they more importantly set a tone and relationship with the customer that is crucial. Dell and Gateway, companies that made PCs some years ago, failed in this channel. It will be interesting to see how the Microsoft stores fare. Will they be able to develop a relationship with the customer as Apple has? • Walmart sells primarily through its stores, but is making a huge effort to expand into e-commerce. • Amazon’s key channel is its website. They recently announced they would open a retail store in New York. • Starbucks’ primary channel is its coffee shops, but they also sell through grocery stores and Amazon. • Warby Parker started online, but ended 2014 with 10 retail stores. They plan to double this by year-end 2015. • A consulting company is likely to have two channels. Its primary distribution channel will most likely be on-site visits while its secondary channel may include online delivery of content, Skype, or phone conversations. Expanding distribution channels does allow more points of interaction, but it is expensive. Brick and mortar retail stores are far more expensive than a website. Furthermore, each channel requires additional expertise. Caution is advised when expanding channels. What does this mean for you? 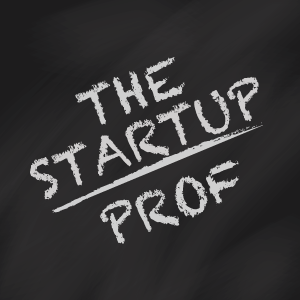 For the starting entrepreneur, costs are a big issue. Start with a channel where you can get the most bang for your buck. You can always add more channels later. So what channel(s) suits your product/ service the best? You have developed a clearer idea of your industry and your potential competitors. It is now time to determine how you will get your product to your customer and what channels of distribution you will use. There are two main ways in which companies distribute products to customers – direct and indirect. Web: Customers buy directly from the website and the product is shipped to them. Examples include Amazon, Apple, virtually all retailers and a host of other companies. Web downloads: This is even better and faster. Customers buy and download software, music or movies immediately. iTunes, Microsoft and most software companies offer this option. o All restaurants: Chipotle, McDonald’s, KFC, Olive Garden and every coffee shop you have ever been to including Starbucks, Peet’s Coffee and Dunkin Donuts. o All retailers: Best Buy, Macy’s, grocery stores, office supply stores, hardware stores, etc. o Many services: Doctors, hairdressers, dry cleaners and financial advisors. Store pickup: Domino’s and Ikea are prominent examples. Home care: Lawn care, plumbers, electricians and most trade services. In this case intermediaries are utilized to deliver the products to the customers.The retailer is the key gatekeeper in this form of distribution. The retailer does not generally make the product. Rather companies sell their products to retailers who then sell it to customers. Both the manufacturer and the retailer see the customers as their customers. o P&G sells Crest, Tide and Gillette to Walmart who then sells it to us. o Publishers like Random House and Hatchette sell books to Amazon, which in turn sells them to you and me. o A retail location can rarely hold a truckload of any one product whether it’s toothpaste, cereal or detergent. In such cases, manufacturers sell their products to wholesalers, who have the capacity to hold large inventories. Retailers then order a combination of products from these wholesalers in truckload quantities. These products are then stocked in the retail stores where consumers can buy them. o Let’s follow the story of a box of Cap’n Crunch from its birth to its consumption in your house. The cereal is manufactured at a Quaker Oats’ plant and then shipped to a wholesaler. A retailer like Jewel in Chicago or Vons in Los Angeles will then order a variety of products to fill a truck from such a wholesaler. The truck brings the assortment of the products to the local stores. You then go in and buy a box of Cap’n Crunch and take it home or eat it eagerly on the way back. o Sometimes another step is involved in the distribution process. Specialty products that are smaller in scale will hire an agent to represent them in dealing with the retail trade. Such agents represent many small companies have marketing and retail expertise and help these smaller companies get distribution and product movement. Most stores will have a specialty aisle for such items. If a product is successful, it will often be bought out by a larger company. Vitamin Water, Odwalla and Naked Juice are examples of this phenomenon. Too many companies try to appeal to a broad base of customers and try to meet a large set of requirements. However, they end up diluting their product, their connection with the customer, and overstretching their own abilities. The results are rarely satisfactory. One of the great axioms of life is that you cannot be everything to everybody. Another good rule of thumb is the Pareto Principle which states that 80% of the value is created by 20% of the customers. You must focus on those customers that really want your product and who you have the ability to serve exceptionally well. It means making choices, doing fewer things and keeping a sharp focus. It requires developing a beachhead target of customers that you will start with. You will live and die with them at this stage. 1. Can the target afford your product? 2. Do they have a compelling reason to buy your product? 3. Can you deliver the product to them through your channels? 4. Can you deliver a complete product? 5. Can you overcome any existing competition to deliver your product? 6. Will this segment open doors to other segments? 7. Is this target consistent with your passions and values? This is a variation of the questions that you have already been thinking about. Now is a good time to look at these questions afresh and answer them. Different kinds of people adopt new products at different times. There are people who are always trying new things (“early adopters”) and then there are people who are a century or two behind (“laggards”). The chart below, which appears in most marketing textbooks, gives you an idea of these different sets of people and their rate of adoption. The “Beachhead” customers are most often found amongst the innovators and early adopters. By now you have collected a lot of information about your target customer. 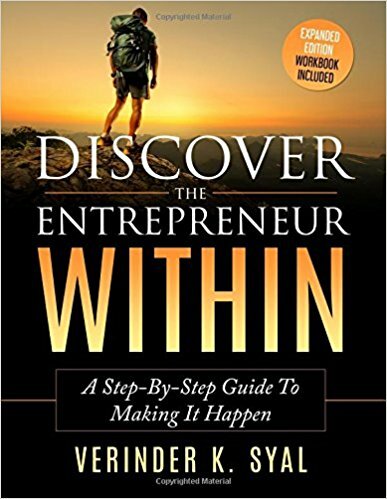 In Disciplined Entrepreneurship the author suggests developing a “Persona” for your customer. Who is your customer as a person? Can you articulate a persona for this person given all the details that you have developed? Go further and develop a picture or a sketch of this person. Sometimes this person might be on your team, especially if the product is a passion for one of you. At other times, it might be someone who you know well or a customer you have come across in the past. It can also be a composite picture of various people. My guess is, that if you took “selfies” of yourself or a friend, many of you would be looking at the Chipotle and Apple personas. Developing a Persona is a powerful tool. It will guide you in your decision-making, because now you will have a clear image of the customer you are trying to appeal to. Have you developed the persona of your customer? What does he/she look like? The two pillars of any business are its customers and its people. While having the right people is crucial to your success, everything starts with your customers. It is therefore important that you understand the customer from all angles. Who are they (demographics)? How do they think (psychographics)? What do they value (marketing utility)? Given limited resources, a new business must first focus on its most likely customers, who are called the beachhead target. It is helpful to develop a persona for this prototypical customer. The clearer you can visualize this person, the better you can understand what he needs and why he will buy your product. Please your customer and smile all the way to the bank is a maxim worth remembering. Here is a list (I have shared this in an earlier post) of the key demographics and psychographics. Feel free to add or subtract from the list to customize it for your customer. • What is most important to them? • What do they fear most? • What do they read? • Where do they travel? • What shows do they like? Divide the Marketing Utility pie of 100 points into the three utilities, Functional, Social and Emotional. In one sentence explain what you believe your customer is seeking from your product. As an example, with the help of Professor Dobie, we have developed this data for Apple. You may develop a similar persona for your customer using the above example as a guide. Functional Utility is pretty low. Rides at Disneyland are interesting but if you wanted thrills you’d be better off going to Six Flags, where the heart is sure to pump faster. What people remember and value the most about their Disneyland experience is linked to who they were with, what they did with them and how they felt. All of these factors fall in the realm of social and emotional utilities. Functional utility relates to what the product basically does. It is a commodity. It is the starting point but it rarely provides significant differentiation. Let’s call this the necessary condition. A watch must tell time accurately, a theme park must have rides that are both safe and provide some enjoyment and a fast food restaurant must serve food, fast. Beyond this functionality, what else is provided? Social and Emotional utilities are more intangible since they deal with feelings and self-beliefs. Often these two utilities are intertwined. When the iPod first came out, Apple was not the preferred name on college campuses. But, as the white iPod buds proliferated, more and more students were swayed by Apple’s hipness. This led to a greater penetration of Macs which then begat iPhones and iPads. This virtuous cycle is a good example of social utility. What do you see in most beer commercials? There is a set of cool people having fun, seemingly living life to the hilt and then there is this one gawky looking fellow on the outside who wants to be cool. Being perceived as cool and socially adept creates social utility. This in turn can make us feel better about ourselves thereby providing a dollop of emotional utility too. To get a better sense of these utilities, let’s try to quantify them by dividing 100 points between the three utilities. This is not a scientific equation so there are no right answers. Is it arbitrary? Yes. Nevertheless, the exercise will give you insight that is directionally correct. I think that emotional satisfaction creates the most value at Disneyland. Walt Disney created these theme parks to make people happy and he obviously succeeded. The social value created by being with your family and friends is also significant. We don’t have to agree on our answers. As they say, “Your mileage may vary.” This is just an exercise to understand a business in one more way. Think of other products that have a heavy dollop of emotional utility, e.g. jewelry, purses, perfume, chocolate, perhaps a Rolls Royce? Or is that mainly social utility at play? By thinking about products and services in this way your understanding of “utility” and the “job hired to do” will increase significantly. When I researched the U.S. Restaurant Business, I found that the restaurant business has been segmented by service (full, limited) or by style (full, casual, fast casual and quick service). It is useful to think about several different ways to segment so as to discover new opportunities where unmet needs still exist. The most basic of these “value adds” are the price and service levels. A simple example is Walmart. People drive long distances to shop there because of the low prices while accepting an adequate level of service. For more service and a willingness to pay somewhat higher prices, you are likely to turn to a national or local chain nearer your home, perhaps a King Sooper or a Safeway in the Denver area. Close to home, you might stop at an independently owned grocery store where the prices are high but the owner greets you by name. There is almost a limitless way to segment: price, service, value, demographics, speed, ethnicity, style, etc. A graphic from the April 2015 issue of Fast Company details the segmentation of the apparel industry very well. The chart captures the challenge that the retailer Gap finds itself. It is in the middle and needs to make “… clothes that people actually want to wear.” Being in the plum center of such a chart is not a good place to be. When you try to please everybody, you end up pleasing very few people. Occasionally, a company can develop advantages on several dimensions. For example, Amazon initially competed with bookstores on price and breadth of selection. They won that war. Then they expanded their offerings and started to offer electronics, for example, at a price better than Best Buy’s prices. Even though Best Buy’s local presence offered the advantage of convenience, its anemic service made their bundle of value unattractive. They continue to chisel away at the distance disadvantage with their Amazon Prime 2-day service model. Currently it is offering same day service in some markets. Amazon efficiently segments every business it enters. It is the big gorilla in the low price segment with Amazon, but it also offers a full-priced, high service, selection of shoes and clothing through Zappos, a company that it owns. Many people make the mistake of looking at a large category and assuming that they can develop a nice sized business by getting a small share of the market. Their reasoning might go as follows: China has more than a billion people. It seems feasible to reach 2% of the market and sell them four cereal boxes a year at $2 / box. This would allow our business to scale to $160 million rapidly. How many people eat cereal in China? How many boxes per year do the cereal eaters buy? Which companies are selling cereals there today? How big are they? What is their experience to date? What will be our point of difference? Beware of the beguiling fallacy of large numbers. Take the time to understand your industry really well. It will make your future life easier and quite likely, richer. In my last post, we saw the four key elements (Industry Size & Growth, Market Segments, Key Competitors & Opportunities) we must focus on, to understand competition better in order to position our business more strategically. To collect and evaluate this data requires research. Besides the usual “Googling,” there are numerous publications from the Government and Industry Trade Associations that provide relevant data. Market leaders also provide a treasure trove of data with financial reports and analyst presentations. White Papers can often be good sources of information as well. Consulting, venture capital and branding firms often release consumer and industry reports. Many companies also sell data and reports for this very purpose. You will not suffer from lack of data; rather you’ll be inundated by it. Your challenge is to take that vast amount of data and distill it into key, actionable insights. Charts and graphs often tell a better story than pages and pages of statistics and analysis. A research plan, using the above template, can help you remain organized and focused. Research is like putting a jigsaw puzzle together. The more pieces you fit together, the clearer the picture becomes. Use common sense and make assumptions where necessary. Try to verify the information from more than one source. 1. Global Media. What were the major channels, who was gaining market share, what was declining, where was the heart of the action and who was winning? 2. The U.S. Restaurant Business. Which segments were gaining ground, what were the key trends and where would future growth most likely come from? For each industry I spent about 60 minutes collecting data from a variety of sources on the Internet and analyzing it. A composite picture of this analysis is included in my book. The purpose of this exercise was to see how much I could learn in a short time. The answer: A lot. I suspect you will be able to do even better.